We are on the eve of our 50th year of being the higher educational institution of the Navajo people. It is hard to imagine if the founders of this great college could have envisioned the challenges faced and overcome. We have grown from a two-year college into a four-year college. Just like the growth of the previous 49 years, the next 50 years will be just as exciting. The challenge for us today is how do we build new programs, expand the college and plan for the future when we do not know what that future holds. Education has always been the foundation for whatever new innovations come and that is where Diné College wants to be situated. We may not know the future, but we can prepare our students to take it head-on with knowledge, courage and an understanding of who they are. Our new strategic goals have been aligned with solid purpose and we rely upon a firm, solid foundation that was set in stone almost 50 years ago. However, it is up to each of us to bring our own perspectives, experiences and commitment through our Diné values, traditions and teachings that will guide this college. 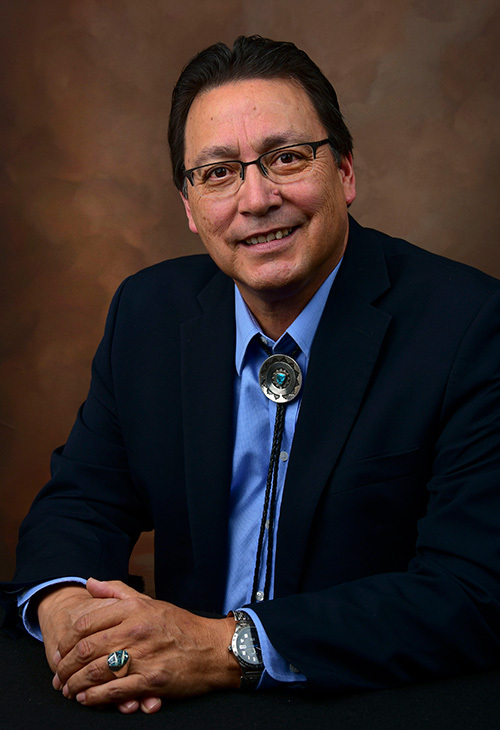 The 50th anniversary will allow all of those who have been impacted by Diné College to reflect and remember the contributions made and the trails blazed. The next 50 years will be filled with new academic programs, graduate studies and new academic buildings that support our new programs. But, none of that matters if we move away from our founding mission. Diné College is a testament to our Navajo heritage, beliefs and what makes our college the beacon of continual growth, humble existence, and endless hope. I look forward to being a part of this future, and I look forward to working with each of you as we lead Diné College into a new era of higher education excellence.